From the 1806 printing of Magna Britannia by Daniel and Samuel Lysons. 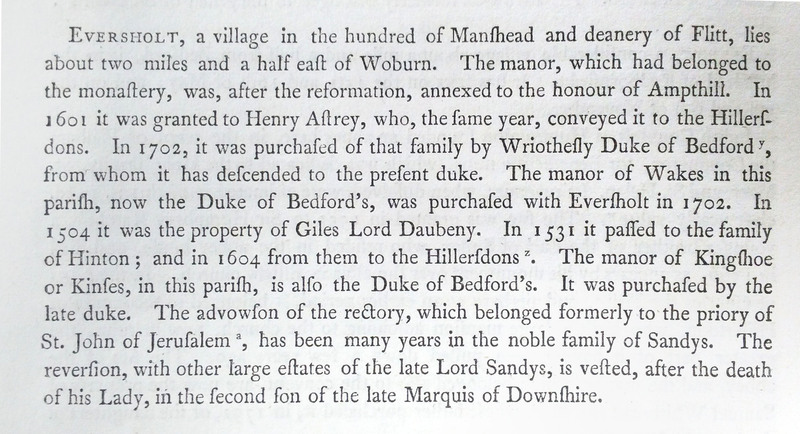 That 1813 edition also notes that the 1801 census (such as it was) found 143 inhabited houses in Eversholt, and 3 uninhabited. There were 160 families and 715 people.